Evidence is data that you generate to validate or invalidate your Ideas. Evidence can be connected directly to an Idea, or can be connected through Discovery tasks, depending on your workflow. It can be added automatically using our Intercom Integration, through the Chrome Extension, or manually by using the red + button at the top of your screen. 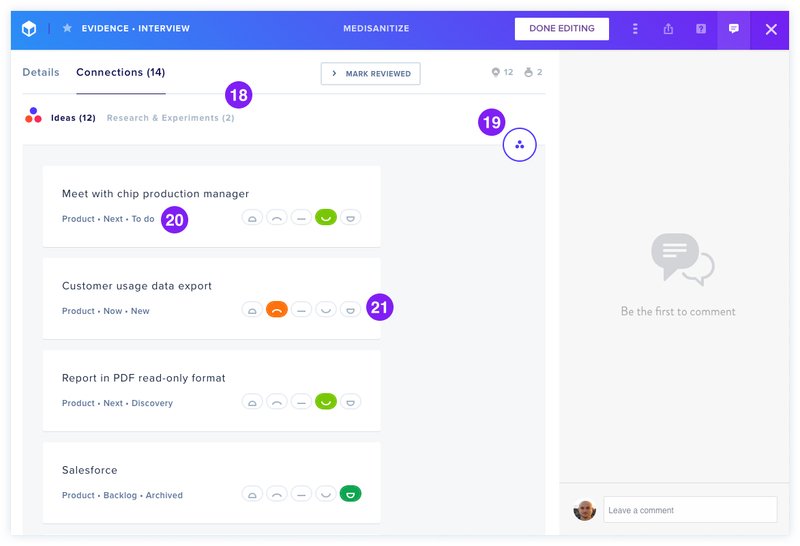 When adding Evidence directly in GLIDR, there are two types: Interview and Other. Throughout your project, you will likely conduct a number of interviews with key stakeholders, customers and influencers. 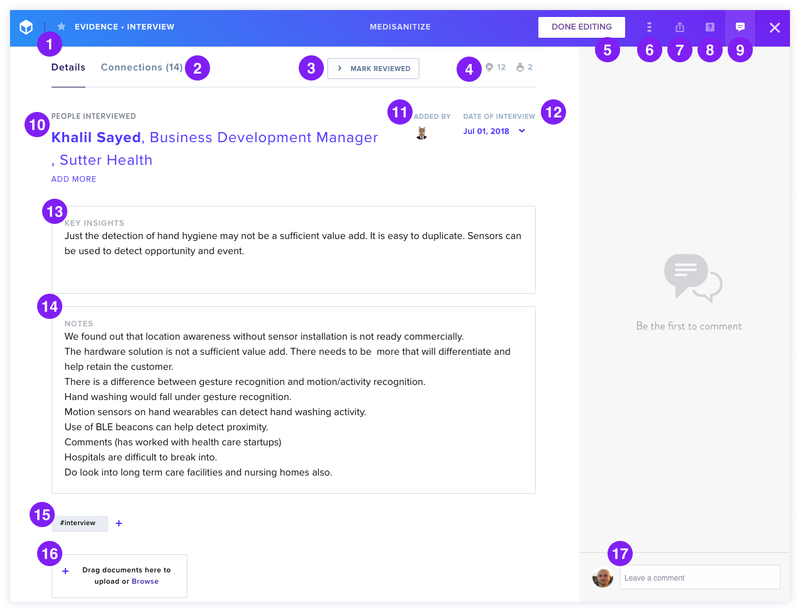 Through the Evidence • Interview feature, you can easily capture insights, notes and attachments from an interview and share them with your team. 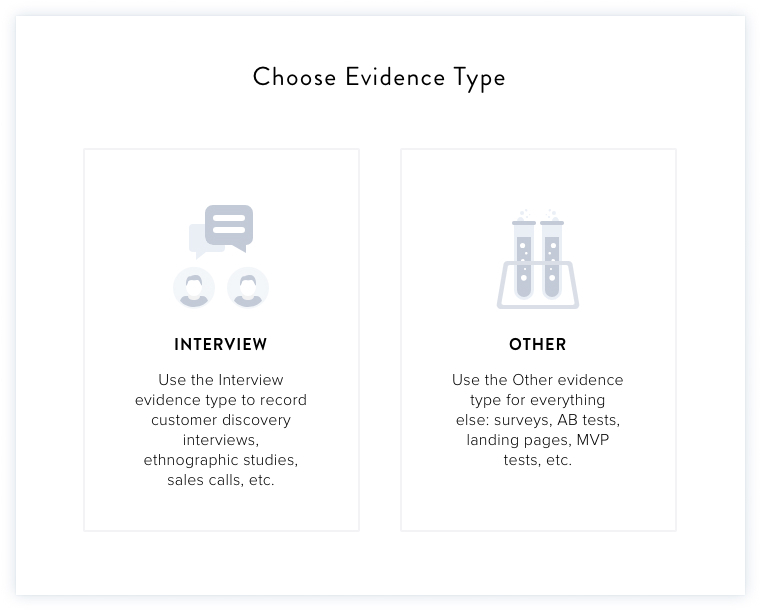 In addition to interviews, you may have additional types of Evidence to share with your team. 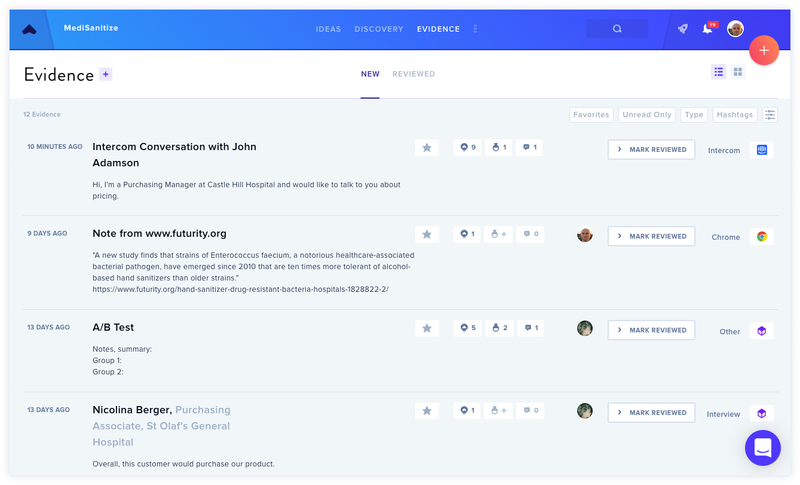 Using Evidence • Other, you can easily post survey results, landing page test results, secondary research, competitive analysis, and any other evidence.